Looking For Affordable Point Pleasant Flooring? Floors At Home is a shop at home service that was established in 1998. The Point Pleasant flooring company has become a trusted name in the flooring industry. When you call Floors At Home your are not dealing with an order taker or a salesman; you work directly with the owner. A knowledgeable professional who will guide you through the process and provide you with a free design consultation. Floors At Home carries all the name brands at the lowest possible price. Trusted names such as Stainmaster, Weardated, Bliss Flooring, Mannington, Bruce, Quickstep, and many other trusted names. With hundreds of styles and colors to choose from; you are sure to find what you are looking for right in the comfort of your own home. 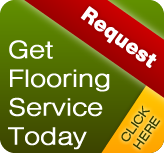 We provide a free consulation, free written estimate, and quality flooring products at the lowest possible price. Your satisfaction is guaranteed on all installations. Call today at 732-785-5799 or fill out a request form. 100% Satisfaction Guaranteed on All Installations. Discover Point Pleasant hardwood that's naturally beautiful. Get lasting appeal through a large variety of shades and wood styles. Call us today to discuss your New Jersey hardwood flooring needs. You feel it is time to update your carpet, then there are many things you should know. Carpet can be expensive, but is worth the cost. You must consider where your Point Pleasant carpet will be used. If you are looking for a Point Pleasant Flooring Company then please call 732-785-5799 or complete our online request form. Take advantage of our latest flooring specials today! $125OFFAny Flooring Over 400SF*Limited time offer. Call for details.